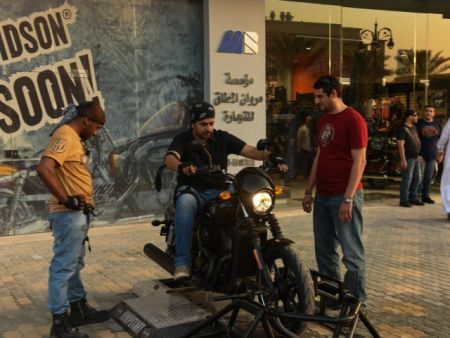 Saudi Arabia – Harley-Davidson® is continuing its monumental ride, which began with the introduction of Project RUSHMORE, by launching a new Dark Custom™ motorcycle designed for young urban riders around the world. The new motorcycle was launched in Saudi Arabia by the Harley-Davidson® dealerships in Dhahran, Jeddah, Jubail, and Riyadh. Harley-Davidson® fans have been waiting eagerly to see the new addition to the Dark Custom™ family. The Harley-Davidson Street™ 750 motorcycle – the first all-new platform from Harley-Davidson in 14 years – is built for urban environments with all-new liquid-cooled Revolution X™ powertrain, nimble agility and the sound and look that lets everyone know it is a genuine Harley-Davidson. The bike is aimed at attracting young Riders who are looking to enter the world of Harley-Davidson®. The Harley-Davidson Street™ 750 will be available across all Harley-Davidson® Dealerships in Saudi Arabia for a launch promotion retail price of SAR 29,999.